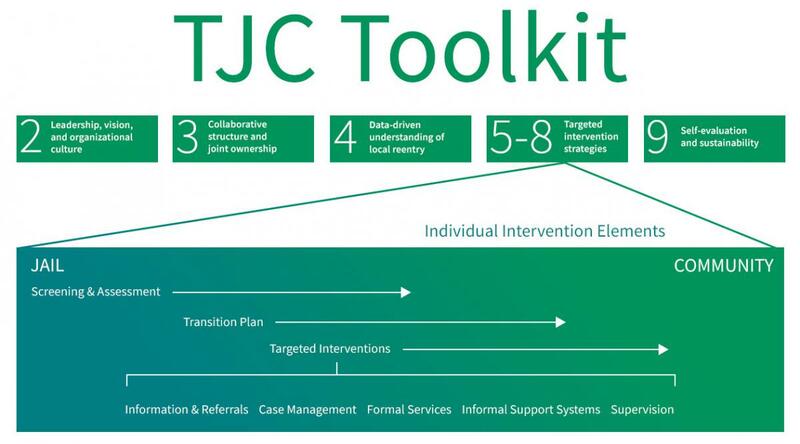 The figure above illustrates the TJC approach to effective jail transition and identifies the key components of the TJC model at both the system and intervention level. System change must be coupled with concrete intervention efforts. Welcome to Getting Started, module 1 of the Transition from Jail to Community (TJC) Initiative’s online learning resource. Over 9 million people pass through America’s local jails each year, and these individuals often receive little in the way of services, support, or supervision as they reenter the community. 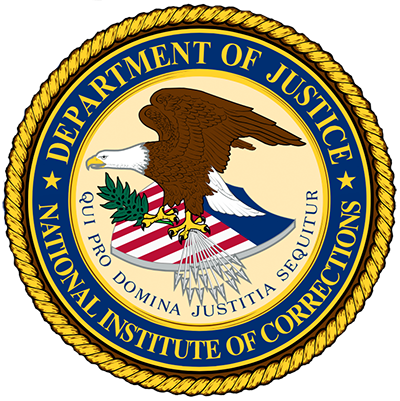 In response to the need for jurisdictions across the country to address the jail-to-community transition, the National Institute of Corrections (NIC) partnered with the Urban Institute (UI) in 2007 to launch the Transition from Jail to Community (TJC) Initiative. Phase 1 of the TJC initiative was devoted to the development, implementation, and evaluation of a model for transitions from jail to the community. The TJC model represents an integrated, systemwide approach to delivering support and services to people released from jail. It involves policy and organizational change and the engagement of jail and community leaders in a collaborative effort. The goal of the TJC model is to improve public safety and reintegration outcomes. During Phase 1, six TJC learning sites were selected and received technical assistance in implementing the model. Their implementation experiences and lessons learned are presented in the Phase 1 process and systems change evaluation report and associated policy briefs, which are available here. In 2012, six Phase 2 TJC learning sites were chosen to receive technical assistance over a 2 ½ year period, as well as two additional California jurisdictions that will receive TJC technical assistance to help them address the challenges associated with the implementation of a package of policy changes known as Public Safety Realignment. Download Module 1 in PDF format.